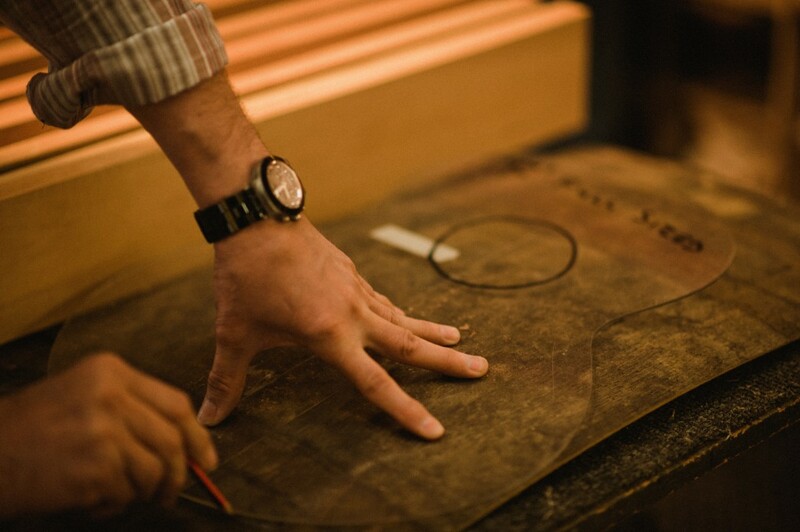 Bushmills Irish Whiskey partnered with Legendary guitar maker George Lowden to make 3 very unique guitars made from the Oloroso sherry oak barrels used to age their whisky. 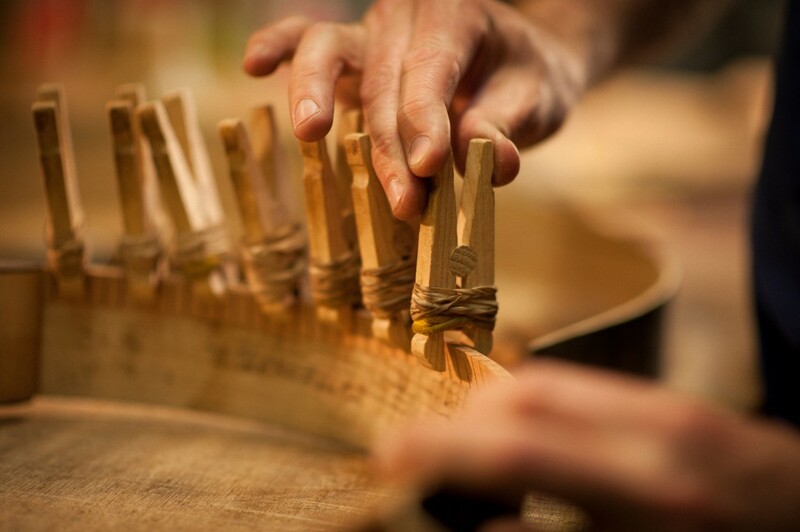 George Lowden has been making hand crafted acoustic guitars in Northern Ireland since the 70’s. His attention to detail and selection of fine materials yields an instrument with a rich unique sound that has been highly sought after by classical, jazz, and rock artists.. most notably, Eric Clapton. 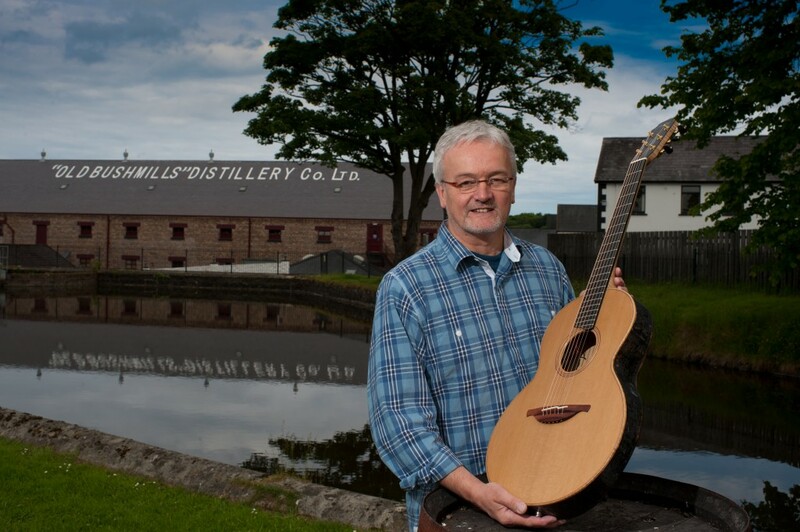 Ok, so not only is he Irish, he’s also a world class luthier (guy who makes stringed instruments) …but why would Bushmills want to make guitars? 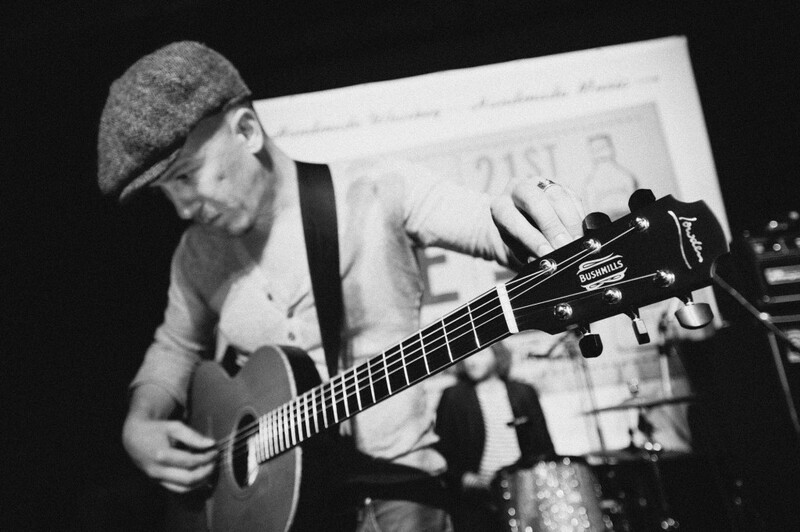 Back in June, Bushmills had their first ever Bushmills Live Festival. It was a two day celebration of both music and whiskey. 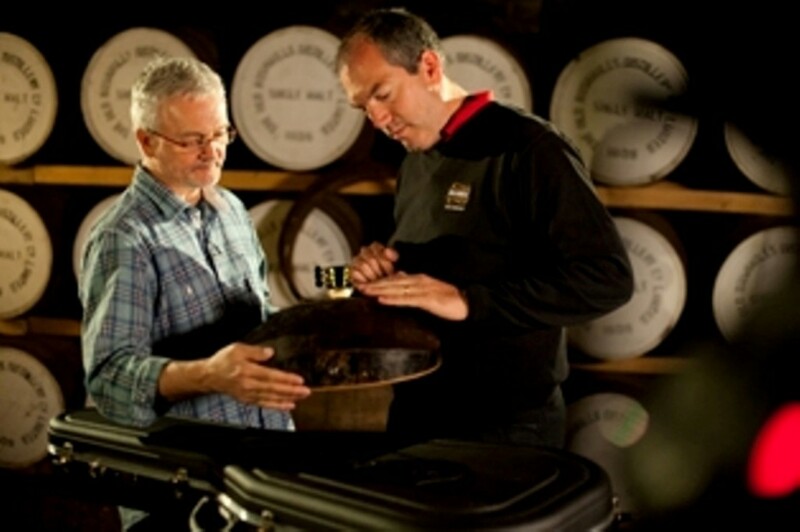 Tickets to this event could not be purchased but instead had to be won via a contest on Facebook… whose few fortunate fans of Bushmills Irish Whiskey around the world who won the sought after “Golden Ticket” got to attend the festival at the old Distillery in Northern Ireland. Snow Patrol, Foy Vance, Iain Archer, DJ Elijah Wood (yes, Frodo), and others were in attendance. 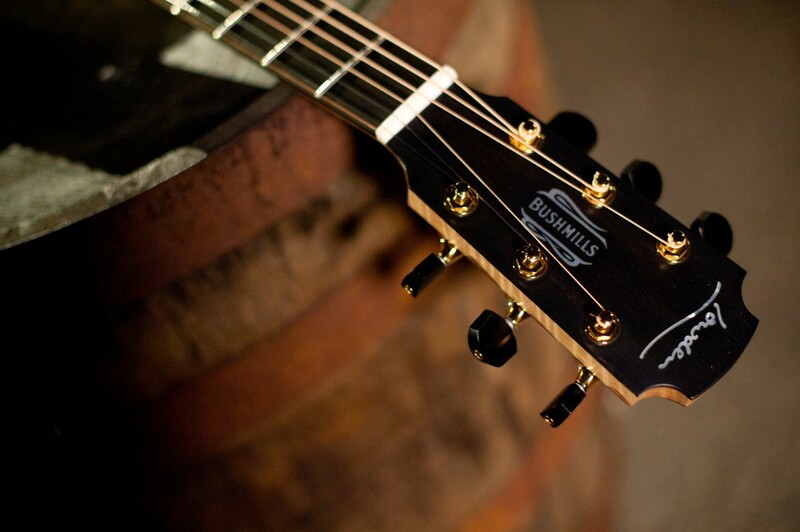 Bushmills commissioned the guitars as a gift to some of the performers of Bushmills Live. 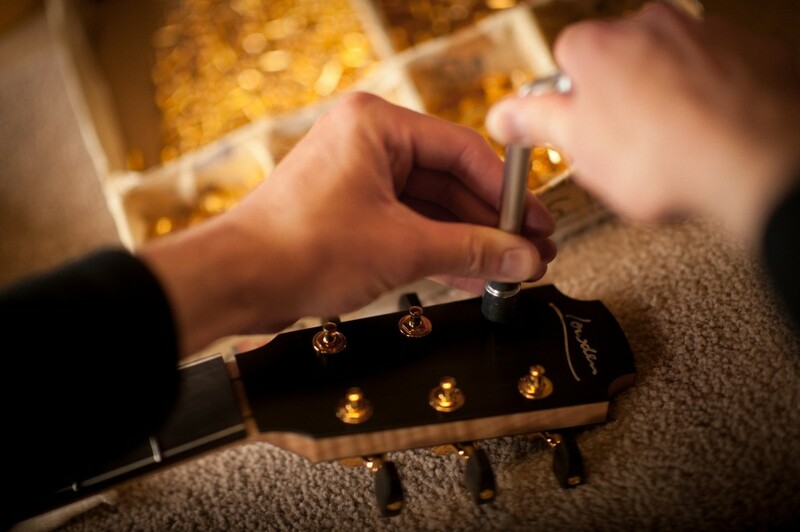 So what makes these guitars so special? Aside from the fact they were hand-made by George Lowden? 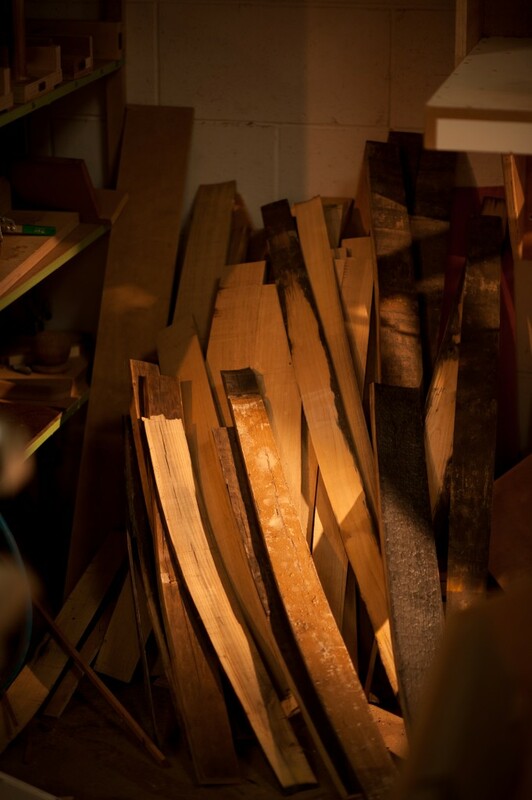 The wood used to make the guitars were taken from the oak barrels used to age Bushmills Black Bush, Bushmills 16 Year Old Single Malt Irish Whiskey and Bushmills 21 Year Old Single Malt Irish Whiskey. 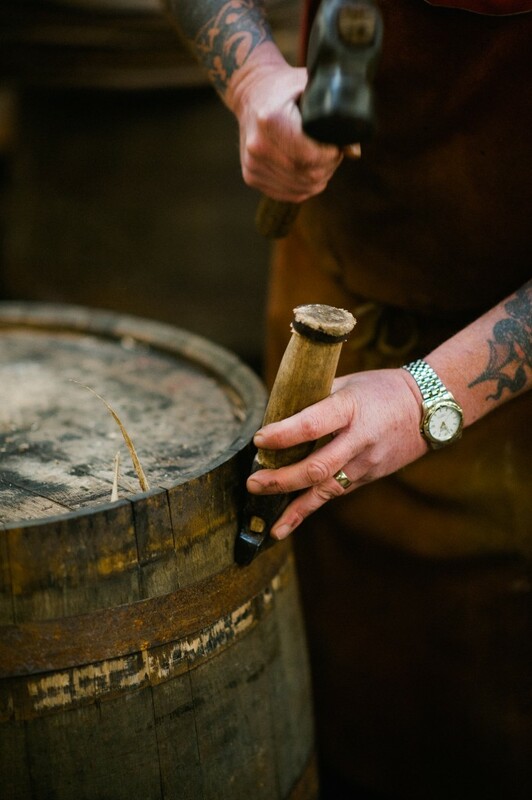 Each of the staves (the curved planks of wood used to make a barrel) were sanded by hand to the desired size and thickness. 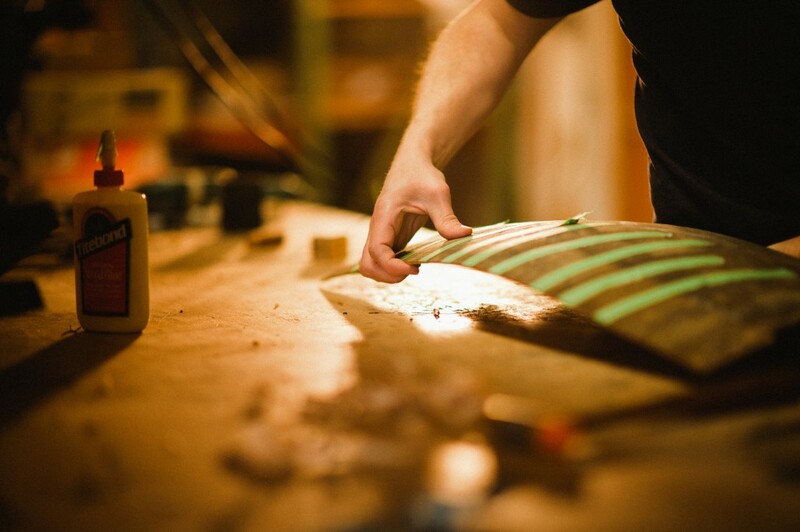 The staves were then glued together into panels and sat to bond over several weeks before being cut to shape. 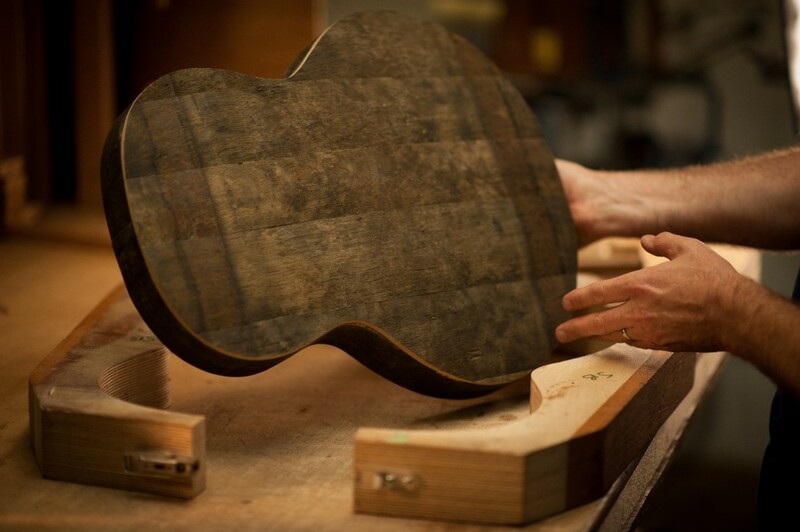 The oak is transformed into the body of the guitar without losing its identity. 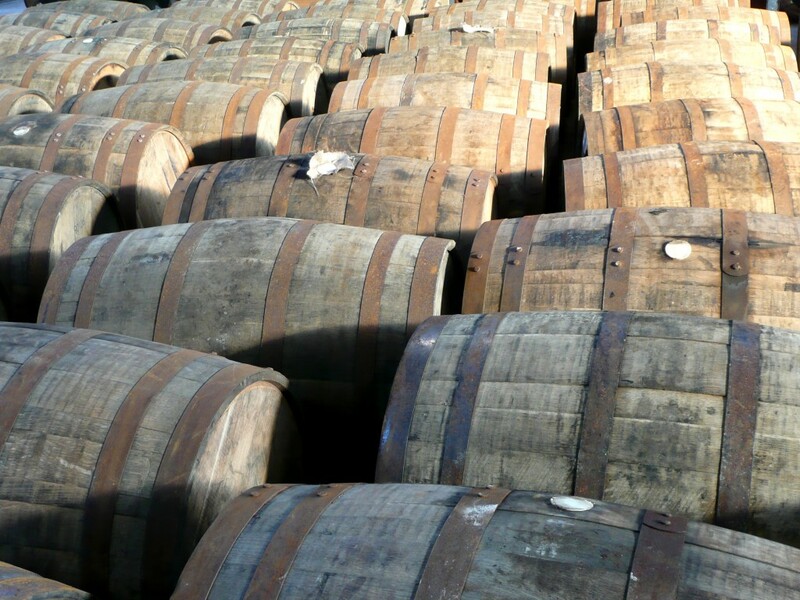 The curvature of the cask and the stain from the bands remain. For the lover of music and fine Irish Whiskey, this is a unique gift to be cherished. Cheers.